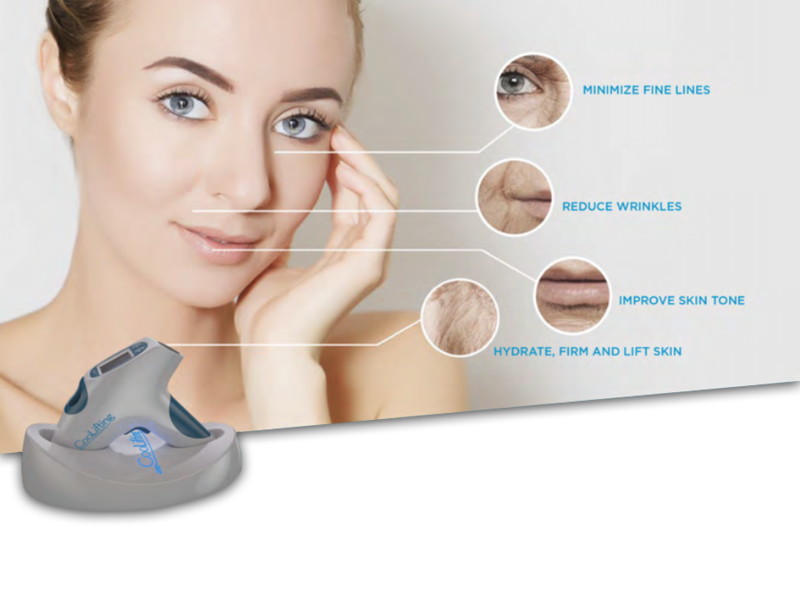 The 4-Minute Facelift - yes that's right....only 4 Minutes to reduce lines, tighten and lift skin! Introducing Coolifting- the 4 Minute Facelift. Unlock your skin's potential for radiance and luminosity in just 4 minutes with the newest Non-Invasive Natural facial treatment from Europe! Immediate results from the 1st treatment. Small lines will practically disappear, deeper lines will soften. You will also notice a lifting/tightening effect within 12-24 hours of the treatment. The 4 Minute Facelift can be used on all skin types or degrees of pigmentation. It can be used in conjunction with microneedling, chemical peels, microdermabrasion, and other procedures to reduce redness and inflammation caused by these procedures. There is NO downtime after the treatment. You can return to your regular skin care regimen, with a good moisturizer followed by a mineral sunscreen. It is a perfect 'Red Carpet' treatment before a special event like a wedding, class reunion, or black tie event. The 4 Minute Facelift is a 'Dermal Delivery System' (DDS) - a technology that improves the application of active ingredients in the skin. We use a proprietary hyaluronic acid serum which also contains sorghum bicolor stalk juice and wheat protein to help improve the skin's overall appearance. We start with the Surf City Chill Facial to oxygenate the skin and stimulate collagen production which boosts the results of the 4 Minute Facelift. Immediate results are seen and optimal results noticed within 12-24 hours of the first treatment. For longer lasting results a series of 3 to 5 treatments are recommended 7-14 days apart. Once personal results are achieved, monthly maintenance is recommended.